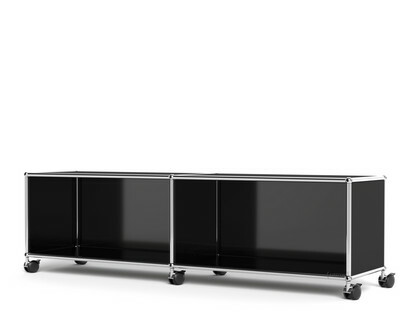 With a range of TV units USM offers compact and contemporary solutions for the tailor-made presentation and storage of modern entertainment technology. And so once again demonstrates how relevant engineer Paul Schärer and architect Fritz Haller's modular system is - 50 years after its development. In addition to their unrivalled functionality, the high quality manufacturing involved in the USM TV units, USM hi-fi lowboards and other USM media units more than honour this most endearing of design classic. I'd like a Lowboard with additional height, I can order it via your shop? Yes. 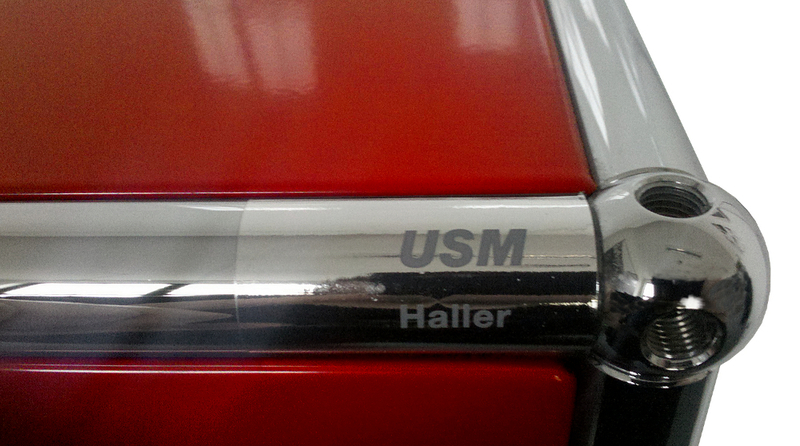 In our shop we offer a selection of the most common USM Haller configurations. Naturally we can also take into account your individual needs into consideration, if our standard options do not fit your needs we can happily make you an offer for a configuration which does. Is it possible to convert existing drop-down doors into extension doors at a later date? Yes. Because the USM furniture system is modular such a conversion is possible at any time. However, it should only be undertaken by a trained USM technician. Please note however, that the age of your existing unit is important because there have been technical changes to individual components over the years. Our USM Service Team can advise. How much weight can a metal shelf support? 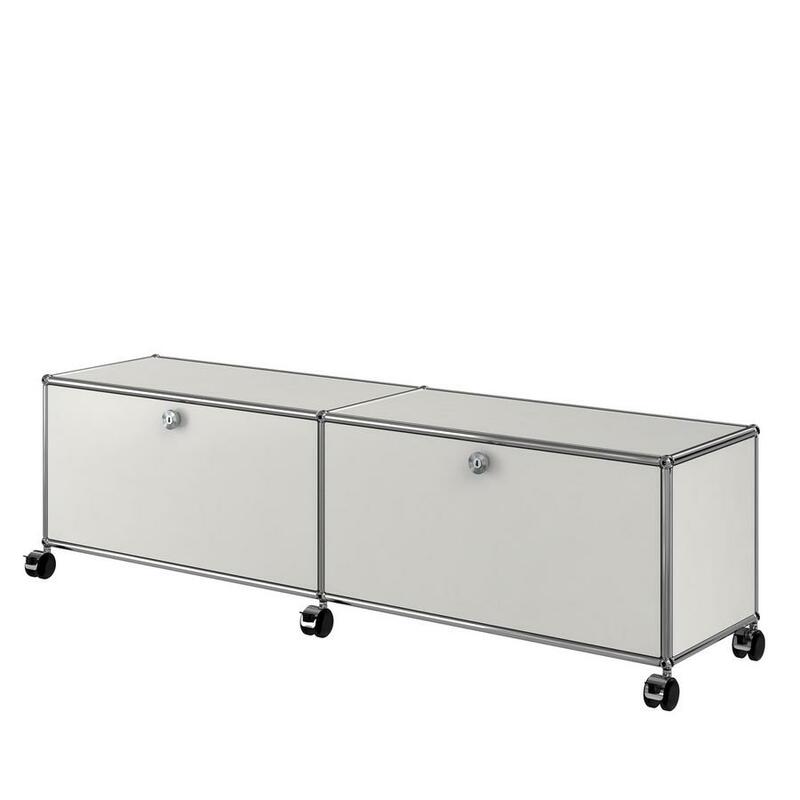 The surface load capacity on a metal shelf is up to 50 kg. Heavy point-like loads (e.g. metal sculptures) can cause severe deflections. In these cases the use of a support profile is recommended, these are mounted under the tray and provide extra stability. 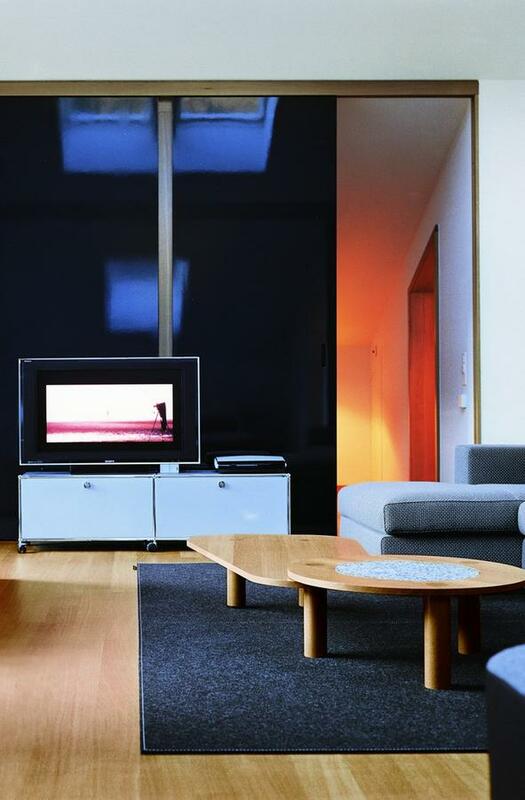 The USM furniture system was developed in 1963 by Fritz Haller. 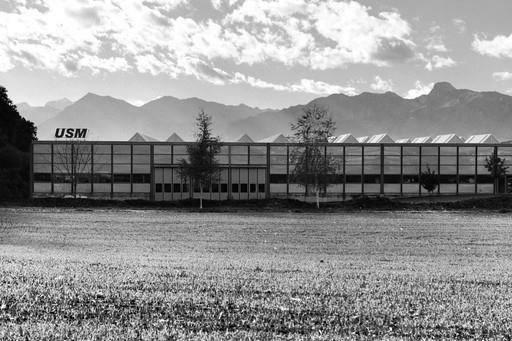 The Swiss architect had previously been contracted to design new production and administrative facilities by USM director Paul Schärer. Subsequently Schärer asked Haller if he could also consider a new office furniture for the company's open-plan offices. 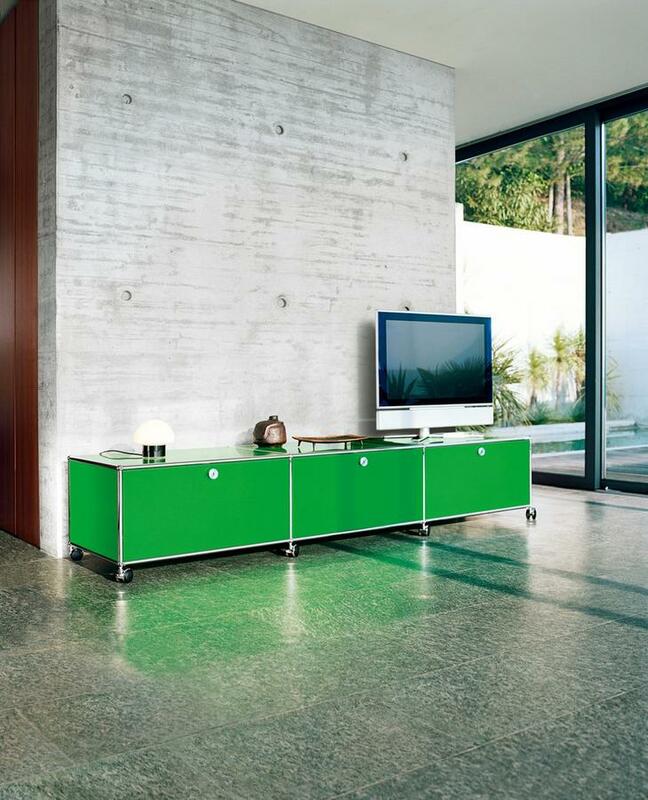 Thus, in 1963 the USM Haller sideboard was created exclusively for the Swiss headquarters of USM. 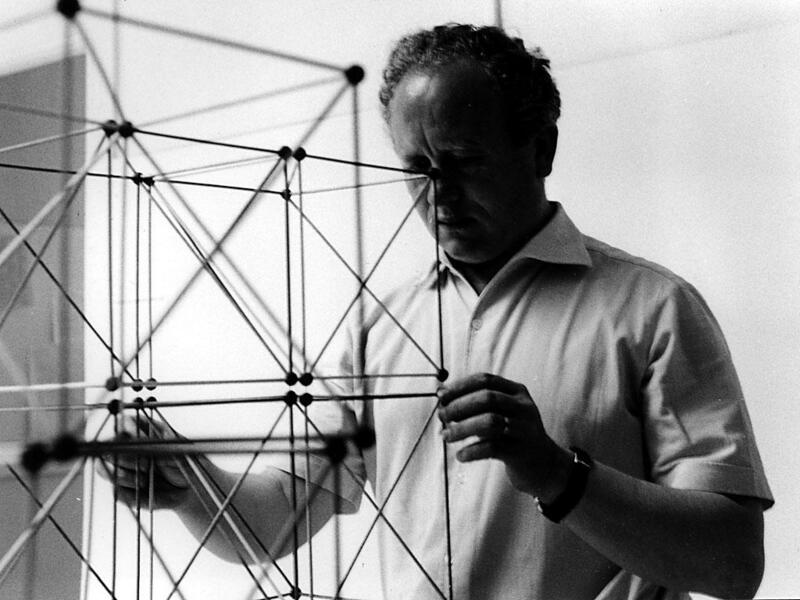 Only after a 1969 contract for furnishing the Paris based Rothschild Bank did Pail Schärer decided to begin the series production of the system. 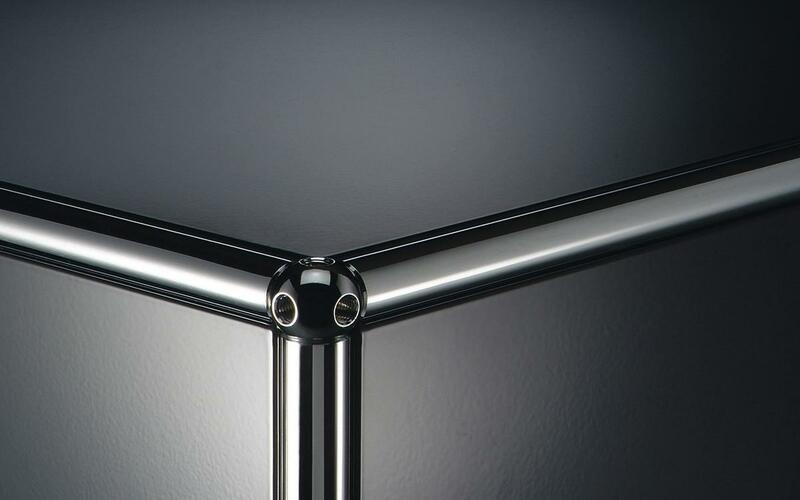 The USM Haller furniture is constructed according to the modular principle based of three basic elements: chrome plated steel tubes are connected by chrome plated brass balls, this basic structure is then clad in meal and/or glass panels. This minimalist system allows flexible and custom furniture designs, because it can be adapted not only to different needs and circumstances of a room, but can also be converted at a later date as required. A view inside the USM Haller production. Even if history best remembers him for a furniture design in the history, Fritz Haller considered himself principally an architect; the USM furniture system being in many ways the exception in Haller's oeuvre. Born in Solothurn, Switzerland in 1924 Fritz Haller principle focus as an architect was the design of buildings such as schools, office buildings and industrial facilities. Projects for which he often designed furniture, such as that created in context of the construction of a new office building for USM in 1961. Originally created for one USM building, the USM Haller system has gone on to become one of the most successful modular systems in furniture design history. And a modular furniture system which in addition to winning numerous awards and being accepted into the permanent collection of many international museums means that history best remembers this architect for a furniture design. Fritz Haller died on 15 October 2012 in Solothurn, Switzerland. USM furniture is among the great design classics of the 20th century. The story of USM Haller furniture begins, strictly speaking, with the establishment of a hardware and locksmith's business by Ulrich Schärer in the Swiss village of Münsingen. However it was not until Schärer's grandson, Paul Schärer, commissioned local architect Fritz Haller in the early 1960s with the construction of a new office pavilion that the USM modular furniture system we all know today really begins. 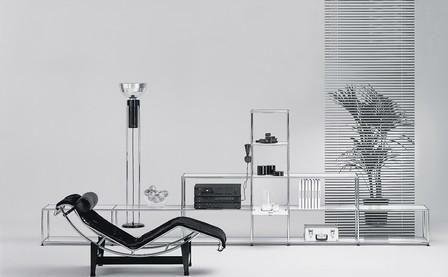 Originally designed for the company's own premises, the shelving and storage system quickly became a mainstay of the Swiss company, a regular feature in office and homes around the globe. And furniture design classic. A special recognition of the USM Haller system's place in design history is its inclusion in the permanent collection of the MoMA in New York. The global commercial success and popularity of the system meanwhile can be measured by the number of USM flagship stores, a network that stretches from Tokyo to New York via European capitals including Paris, London Berlin. 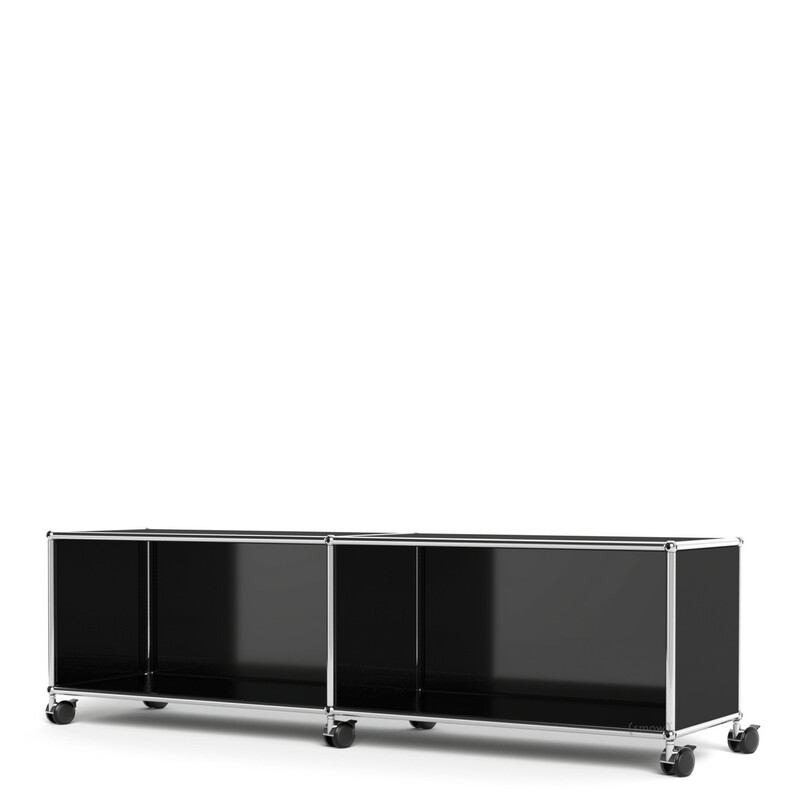 One of the numerous applications of USM: The USM TV / Hi-Fi sideboard on castors. 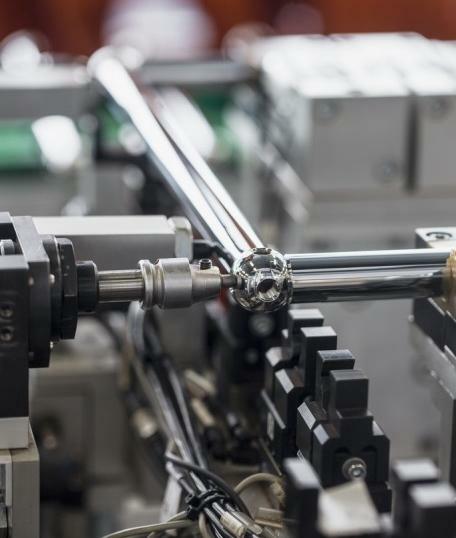 Production of the USM components is centred at the company's headquarters in Münsingen, Switzerland. 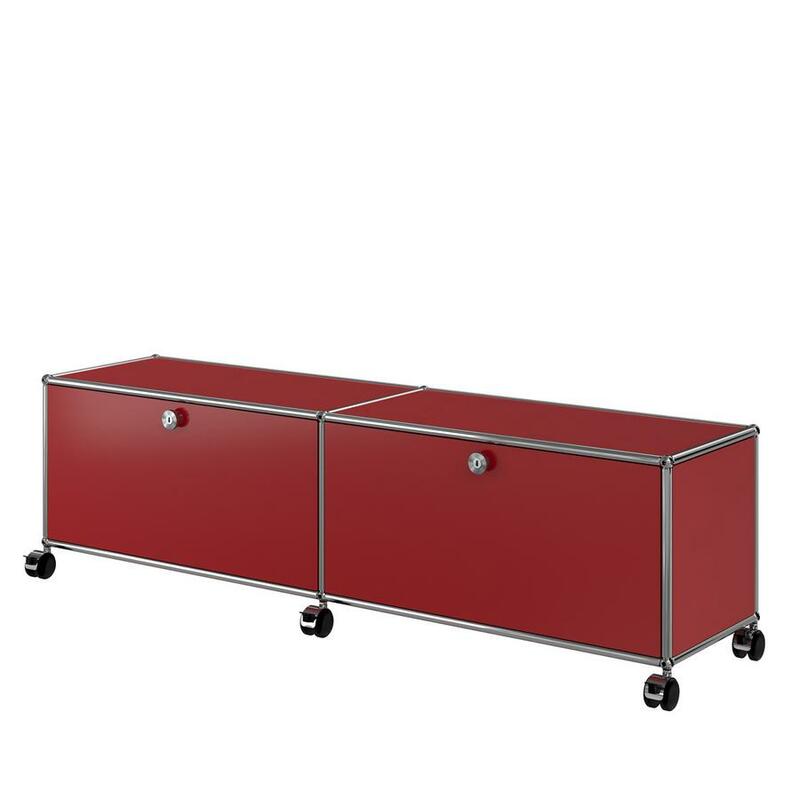 Here, for example, all metal panels are powder coated in one of the 14 standard USM Haller colours, for example, white, graphite black or ruby red powder coated. To ensure the environmental responsibility of the system USM pay particular attention to factors such a responsible use of energy, reducing emissions and source and quality of the raw materials used. 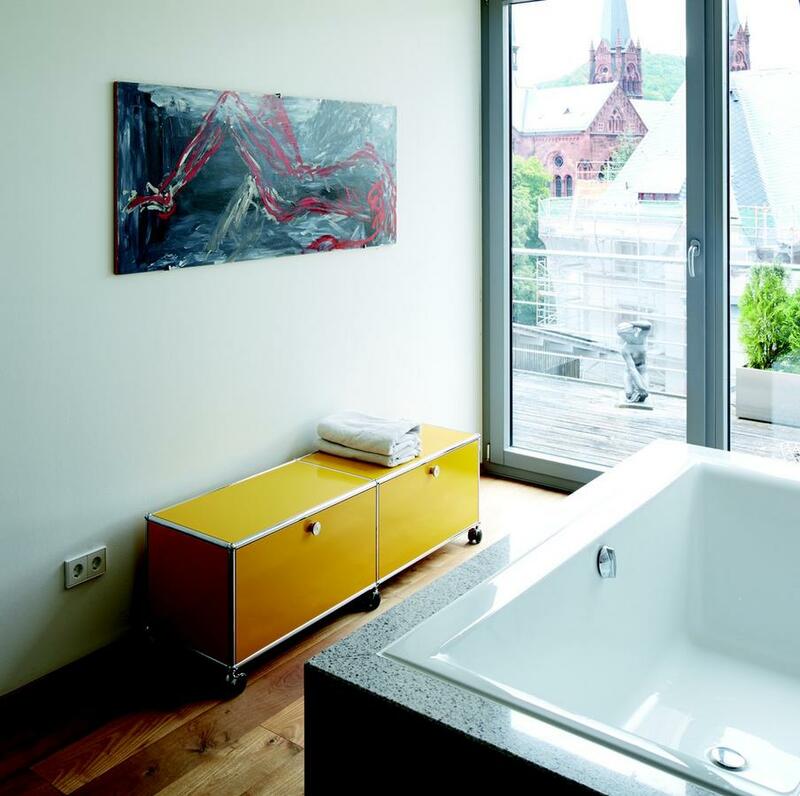 Environmental sustainability is however also an inherent part of the USM Haller design: the system's extreme durable and the fact that the furniture system can be adapted to changing circumstances meaning that it there is no real need to ever dispose of or otherwise throw out a USM Haller unit. Just re-build or extend it to meet your new requirements. And re-use being the best form of re-cycling. 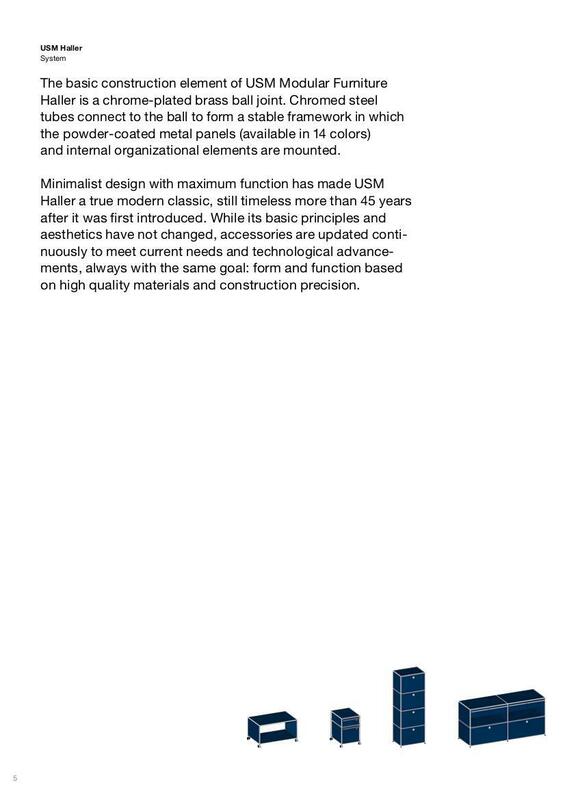 In context of design history USM Haller can be classified as functionalist, as belonging to that furniture design movement based on the principle of "form follows function". The USM modular systems underlying principle that furniture can be adapted to the demands of their situation and use meeting the ideals of functionalism in a unique and charming way. In addition, an important characteristic of functionalist design is their timelessness;something USM Haller has unquestionably achieved thanks to its systematic implementation of a central principle and avoidance of distraction by passing trends. Thus for over 50 years USM Haller has been a much adored piece of office furniture, shop interior and domestic storage and shelving system.